Nicole Houston Reed who is known to her admirers of the world cinematography under the name of Nikki Reed is an American movie actress and singer. She is the performer of the role of Rosalie Hale in the vampire saga Twilight and Jessie Campbell in the horror movie Letter of Happiness. The actress has had his debut in the movie Thirteen for which she has written the script. Nikki was born in the western part of Los Angeles in the family of the architect and production designer Seth Read and his spouse Cheryl Houston who was working as a cosmetologist. The young woman has two brothers: his senior brother Nathan Augustus and his younger brother Joey. The relations had problems in their relationships. Their children often heard their quarrels and scandals. As a result, Cheryl left her spouse when her daughter just turned two years. Further, she was bringing up her daughter on her own. They relocated to the Californian town of Culver-City where the future star passed her childhood. Nikki Reed was an obedient and modest girl during the first half of her children biography. Later she would call herself "a bookworm." But at the age of thirteen the future actress tried to smoke, and then she began to experiment with the drugs. Because of this Nikki started to have worse relations with Nikki and the girl left her home. Since the age of fourteen, Reed started to live independently and moved from one apartment to another. In a short time, she began to work and soon she has created the autobiographic script about the teenage girl who has chosen the wrong way. The movie was shot by this plot which has brought popularity to Nikki. She wasn’t going to become an actress. Reed returned to Alexander Hamilton High School. However, a year later she again left her studies. The girls received the school-leaving certificate receiving her education remotely. At the age of seventeen, the young actress Nikki Reed appears on the movie set again. Nikki has written the script for the film Thirteen and later offered it to the movie production companies. She wanted the public to look once again at the problem of the difficult age. The director of the movie Catherine Hardwicke told that the character of Evie Zamora would be performed by the scriptwriter, and Evan Rachel Wood has been chosen for the role of the principal personage's friend. As it has already been told, after Nikki's debut she came back her education. Later, she became conscious of the fact that she lacked something and it was the movie-making pavilion of the film studio. That's why when Hardwick invited the young actress to return and to come back another rebel, Kathy Alva, in the sports drama under the title of Lords of Dogtown about the surfers and skateboarders. The actress has accepted this role with great pleasure. After that Reed has continued her acting career with the comedy Mini's First Time, the melodrama The O.C. and Cherry Crush. Nikki Reed continued her career with the role of Rosalie Hale in the movies Twilight directed by the books of Stephenie Meyer. It’s noteworthy that initially AnnaLynne McCord was approved for this role, but before the shootings of the first part, the director has chosen Reed with whom she has already worked in the drama Thirteen. 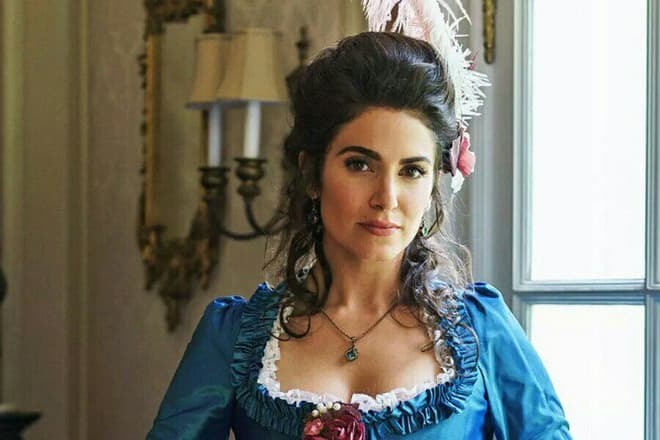 According to the plot, Rosalie seems foolish and bitchy at first sight. The girl meets Edward's beloved girlfriend, Bella with hostility. But with each new picture, the personage of Nikki becomes more open. Later, the spectators understand why the gorgeous vampire has such attitude in the relation of future Mrs. Cullen. Also, the actress performed the leading characters in the horror movies Chain Letter and the criminal fighter Catch .44. It’s worth noting the psychological thriller Enter the Dangerous Mind, the fantasy series Sleepy Hollow, the detective story Murder of a Cat and the gripping movie in noire genre under the title Jack Goes Home. The actress has received the interesting role in the movie A Sunday Horse. Nikki has performed the part of the magnificent equestrian Debi Walden who at the peak of her career got a severe backbone injury. But, despite this, the girl has shown to the public her strength of spirit and has won the champion's title. Nikki realizes her talents not only as a writer and an actress but also as a musician. Together with the singer Paul McDonald she has recorded the hit under the title "Now That I've Found You" which has been included to the rotation of the popular radio stations. This composition has contributed to the continuation of the work in the recording studio. Reed and McDonald have released the mini-album under the title "The Best Part." One song from this album, namely "All I've Ever Needed" has become the soundtrack for the second part of the picture The Twilight Saga: Breaking Dawn. Nikki Reed’s music style can be characterized as indie-rock. And the girls haven't stopped with one album. Three years later she released one more mini-album under the title "I'm not Falling." With this work, Nikki and Paul have summed up three years of their life together. Each composition is a short story about their love, friendship, devotion, and fidelity. 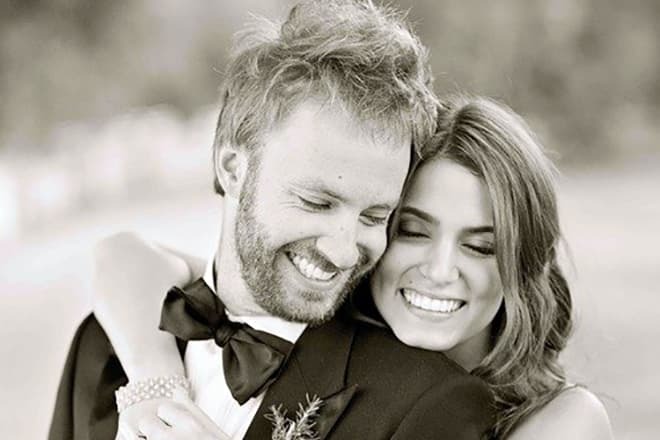 In the personal life, Nikki Reed had many love affairs and romantic relations including the relationships with the celebrities. During the shootings of the movie Lords of Dogtown, she was meeting the actor Victor Rasuk and then she was in relations with Donald Joseph Qualls who was better known as DJ Qualls. Right after the divorce of Ryan Philippe and Reese Witherspoon, the actress began the relations with the newly made bachelor. And in 2009 Nikki has had a love affair which has intrigued her Russian admirers: during some time the girl was meeting with them but not too long time the Hollywood star met the Russian actor - Pavel Priluchny. Besides, Reed has the tattoo on her wrist with the text "PRILUCHNY" which, however, later she has removed. Also, the public was talking that Nikki Reed had personal relations with such men as the actor Robert Pattinson, the dancer Derek Hough and the producer Paris Kasidokostas Latsis. The actress was officially married tow times. In 2011 she got acquainted with her first husband, the singer and the composer Paul McDonald on the premiere of the movie Red Riding Hood. A couple of years later the young people registered their relations and celebrated the great wedding in Malibu, and have lived together for three years. At the end of spring of 2014, referring to "irreconcilable differences," Nikki filed for the divorce which she received in January of the next year. Still being officially married to Paul McDonald, Reed started having relations with the actor Ian Somerhalder – the star of the series The Vampire’s Diaries and Lost. Nikki and Ian have known each other for a long time, but earlier they have just been friends. Moreover, the actress was the best friend of Somerhalder's beloved woman – Nina Dobrev. It was said that after the young people ceased to keep their love affair in a secret Nikki and Nina stopped their friendly relations. There were rumors that Dobrev left the series The Vampire’s Diaries because Reed visited her boyfriend on the movie set. And Nina couldn’t stand this. Though, sometime later the actress has posted a photo on her Instagram account on which she was having dinner with Nikki and Ian. The newest couple was concealing their love affair for a long time. They explained their appearing in public together as just a friendly meeting. But the intimacy which aroused between the actors was obvious. And in three weeks after the beginning of their love affair, Nikki and Ian began to live together. As soon as the claim for the divorce of Nikki with her first husband was provided, the lovers announced their engagement. 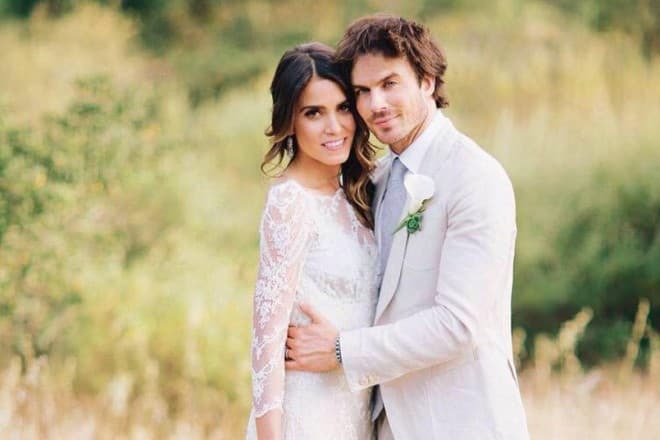 On the 26th of April, 2015 Nikki Reed and Ian Somerhalder became spouses. At the wedding ceremony, there were present only their relatives and friends. The press wasn't admitted to being present at the wedding. For their honeymoon, the newlyweds have gone to Mexico. In May of 2017, the actress announced her pregnancy to her admirers with the help of Instagram. 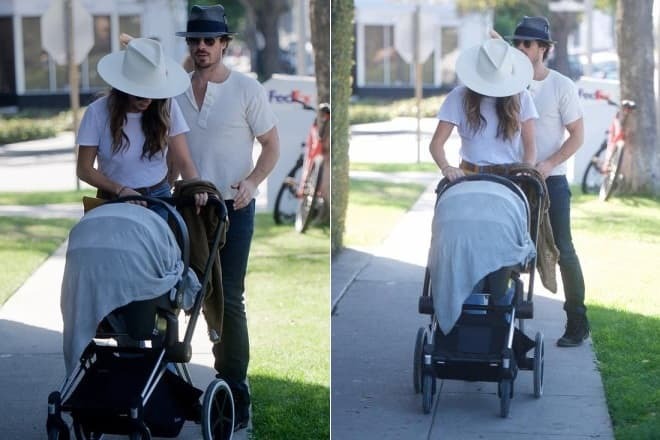 On the 25th of July 25 of the same year, Nikki Reed became the mother for the first time. The actress gave birth to their daughter Bodhi Soleil. For the actor, she is the firstborn too. In a month after the childbirth, Nikki has demonstrated the photos of her perfect figure to her admirers. She has published the photo where she was doing acro yoga together with her elder brother Nathan. The actress is known for her long-lasting love to yoga, and she also combines it with the acrobatics. Her admirers have noticed that after the birth of the child the actress began to have a better body than before the pregnancy. 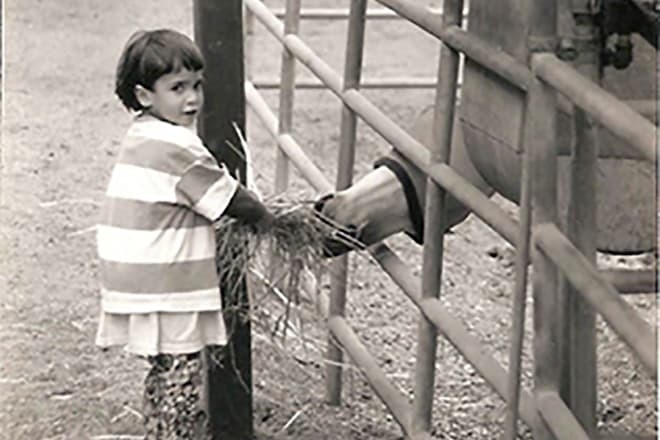 Reed has always distinguished with love to the animals, and this fact has become the initial point of her cooperation with American Society for the Prevention of Cruelty to Animals (ASPCA). She has developed the range of jewelry under the title of "Mattlin Era." All the accessories contain the animals' motives and images. The profit on the sale of the jewelry is sent to the special foundation and helps to save the life of many animals in the USA. There are a lot of celebrities among Nikki's clients. For example, you can often see the actress Jessica Alba in the earrings or wearing a necklace from this collection. And Nikki Reed's husband has created the Ian Somerhalder Foundation designated to save nature. Nikki and Ian have their common pets: the horses Eagle and Millie, the cat Sohalia and dogs Nietzsche and Enzo. Moreover, the actress is an active user on Twitter. Thousands of fans read the girl's tweets. Here the girl also leads active promotion on the environmental protection. 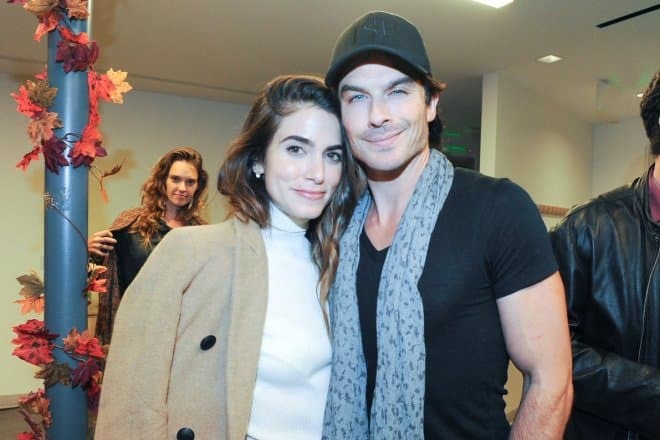 In November of 2017, Nikki and Ian attended Napa Film Festival together. The couple received the humanitarian award of Jameson Animal Rescue Ranch Humanitarian Tribute for their contribution and help in the animals' protection. A couple of days later the spouses attended the presentation of Joshua Tickell’s book - Kiss the Ground. During the event the couple felt free to express their feelings: they embraced each other and openly flirted. Later Ian appeared on the stage and read the fragment from the book. Nikki Reed and Ian Somerhalder on the presentation of Joshua Tickell’s book "Kiss the Ground." At the beginning of 2018, the husband of the actress shared in the social networks that Nikki has united her efforts with Dell company to release her jewelry line made of the processed materials. In honor of this event, the couple appeared on the presentation in Las Vegas.